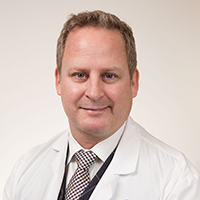 Dr. Busuttil’s research interests are surgical infections, host defense mechanisms, pathogenesis of atherosclerotic occlusive and aneurysmal disease, liver preservation and transplantation, and immunologic tolerance after liver transplantation. 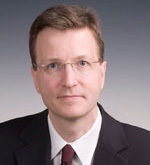 He currently has several projects with Dr. Coito, Dr. Zhai and Dr. Kupiec-Weglinski. Dr. Ardehali’s research activities focus on chronic rejection or cardiac allograft vasculopathy (CAV), the leading cause of late death among heart transplant recipients. His group has shown that chemokine-chemokine receptor interactions may be important in T-lymphocyte recruitment in experimental CAV. Dr. Ardehali’s long-term objectives are to provide a basis for future clinical studies of chemokine receptor blockade and regulatory T-cells in prevention/control of CAV. 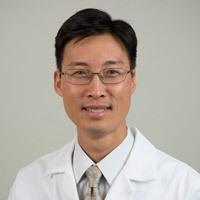 Dr. Kwon is working the field of long-term right ventricular assist devices. Specifically, he is investigating the role of HLA antibody specificity and titer, Class I and Class II subtypes, isotype switching, complement fixation, and presence of non-HLA antibodies in patients undergoing VAD implantation. He hopes to develop desensitization protocols with donor specific HLA antibodies to reduce the development of primary graft dysfunction in the sensitized VAD patients. 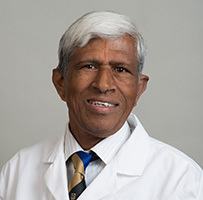 Dr. Laks’ clinical and research interests include anomalous pulmonary venous return, aortic aneurysm, valve surgery, assist devices, CABG, heart and lung transplantation, the Maze procedure, pediatric cardiac surgery, and ventricular aneurysms repair. Dr. Brunicardi is a Department Vice Chairman and has a proven track record of quality investigations regarding human pancreatic cancer, islet physiology and islet transplantation. His work is focused on the role of PDX in pancreatic adenocarcinoma and neuroendocrine tumors. He is also a practicing general surgeon and educator with his primary interest in disorders of the pancreas, with specific attention to diabetes, hypoglycemia, and cancer. 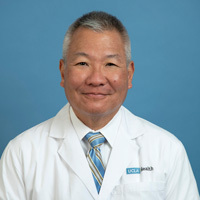 He serves as Editor-in Chief of the Schwartz Textbook for Surgery. 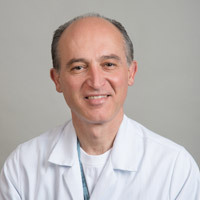 Dr. Culjat’s primary area of expertise is in ultrasound transducers and systems, where he is involved in a number of active research efforts focusing on transurethral ultrasound catheters, dental ultrasound systems, flexible ultrasound transducers, robotically-controlled ultrasound systems, and focused ultrasound neuromodulation. He has developed various research projects related to haptic sensing for surgical robotics, lower-limb amputees, and persons with balance disorders. Dr. Donahue’s research program is focused on the molecular genetics of pancreatic cancer in order to improve the diagnosis and prognosis patients with this disease. In collaboration with faculty in the Ahmanson Imaging Division at UCLA, his lab is developing novel PET imaging probes to noninvasively predict response to specific chemotherapies. In collaboration with faculty in the NanoInstitute at UCLA, they are testing nanotherapies that improve delivery of drugs silence genes associated with chemoresistence in pancreatic cancer. Dr. Dutson's research in CASIT (Center for Advanced Surgical and Interventional Technology) is to define and advance the state-of-the-art of surgical and interventional technology and to change the paradigm of surgical education and training. The goals of the research are to enable the development of performance improvement for minimally invasive procedures; to deliver novel surgical and interventional therapies to patients; and to develop a greater interventional capacity through robotics, informatics, and simulation. Dr. Eibl studies the mechanisms of diet-induced obesity on pancreatic cancer development. In particular, he studies the role of inflammation using in vitro cell culture and genetically engineered animal models. In addition, Dr. Eibl is investigating the potential preventive effect of fish oil on pancreatic carcinogenesis. Dr. Gibbons’ research interests are studying and improving the quality of care for surgical disorders. 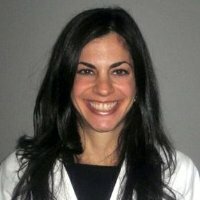 She has conducted projects developing quality indicators and appropriateness measures (bariatric surgery, elderly patients, and carpal tunnel syndrome) that involved expert panels utilizing RAND/UCLA appropriateness method. She serves as the on-site principal investigator on a joint NIH grant with RAND “Informing Latinas about Medications to Reduce the Risk of Breast Cancer” - a clinical trial assessing the educational materialforthis vulnerable population. 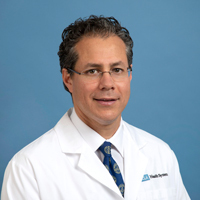 Dr. Harari’s clinical and research interests include the multidisciplinary management of benign and malignant tumors of the adrenal, thyroid, and parathyroid glands as well as the neuroendocrine pancreas. Specifically, she has been focusing on the translational development of biomarkers for endocrine cancers utilizing nanotechnology to perform “liquid biopsies” detecting circulating tumor cells. Dr. Harari also has a keen interest in endocrine surgery quality and outcome research. Dr. Hines is focused on pancreatic carcinogenesis and investigates the role of angiogenesis and inflammation in this process. Specifically he has investigated the potential of targeting CXC chemokines in order to alter pancreatic cancer growth. In addition, he is investigating the impact of phytochemicals on pancreatic cancer derived angiogenesis utilizing human xenograft models and the prevention of precancerous lesions transgenic mouse models. Dr. Hiyama’s research interests are minimally invasive surgery, clinical research in improving patient outcomes, and resident education. Dr. Hiyama is also focused on the implementation of electronic medical records to improve patient care. 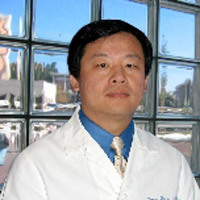 Dr. Ko directs the UCLA Center for Surgical Outcomes and Quality (CSOQ). The mission of the Center is to study surgical care and outcomes within the broader scope of health care. By integrating the clinical strengths of the UCLA Department with methodological experts, a scientific basis will be provided for the improvement of surgical quality at the patient as well as at the population level. Multidisciplinary investigators across the UCLA hospitals work with the center, as do researchers from the VA, Olive View, and RAND. 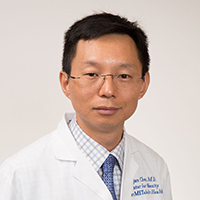 Dr. Lin’s research interests involve patients with inherited colon cancer syndromes including familial adenomatous polyposis and hereditary non-polyposis colon cancer (Lynch Syndrome), as well as patients with early-onset colorectal cancer. She is actively involved with the Inherited Colorectal Cancer Registry at UCLA. Dr. Russell’s research interests include evaluating the quality of surgical care and clinical outcomes after colon and rectal surgery. With respect to quality of care, she has developed quality indicators in elderly (funded by the National Institute on Aging) as well as colorectal cancer surgery patients. She is currently completing her PhD dissertation (UCLA School of Public Health, Department of Health Services) on evaluating the quality of care for elderly patients undergoing major abdominal surgery through medical record abstraction in 3 different hospital settings. 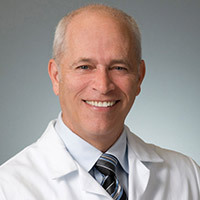 Dr. Reber serves as the Director of the Center for Pancreatic Disease which brings together a large group of basic scientist and clinician experts in the field of pancreatic disease in order to execute translational science, specifically in pancreatic cancer. As the Director of the Hirshberg Laboratories, he oversees investigators working on a number of factors that influence pancreatic cancer tumor growth, metastasis, and survival at a cellular and molecular level, with clinical correlation from the large patient population. Dr. Sawicki’s laboratory studies the role of the Men1 gene protein product called menin in endocrine tumorigenesis. This tumor suppressor protein is mutated in Men1 families and sporadic endocrine tumors. He is specifically interested in how cell-signaling pathways, such as the Wnt pathway, lead to endocrine tumor growth through gene expression affected by menin-dependent histone methylation. The goal of this work is to identify drugable targets for the treatment of these tumors. Dr. Stelzner’s research interests include: Transplantation of mucosal stem cells; Intestinal gene therapy; and bioengineered Intestines. 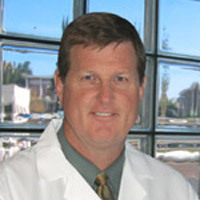 He serves as the Chief of Surgery at the West LA Veterans Administration Hospital. Dr. Tillou’s research is directed toward comprehensive geriatric trauma and acute care surgery. Traumatic injury is a sentinel event that often precipitates functional decline in our rapidly growing elderly population. Projections estimate them to become 40% of all trauma patients by 2050. Her work focuses on improving the quality of care provided to this group to optimize their immediate and long term outcomes. Dr. Yeh’s research centers on the epidemiology, treatment, and long-term effects of primary hyperparathyroidism. His group is studying the large population of untreated patients with PHPT to examine the long-term skeletal and extra-skeletal effects of this disease. Extra-skeletal effects may include cardiovascular diseases such as stroke and myocardial infarction. Dr. Coito’s laboratory is interested in understanding the contribution of extracellular matrix (ECM) proteins to hepatic ischemia and reperfusion injury (IRI). Leukocyte functions are highly regulated by ‘inflammatory matrices’, which are composed by ECM proteins and other components. Matrix metalloproteinase (MMP) mediated breakdown of those components can have critical functions in the outcome of liver transplantation. They use genetically engineered mice to investigate the roles of ECM proteins and MMPs in mouse models of liver IRI. 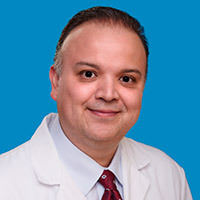 Dr. Durazo has investigated the role of endoscopic treatment of symptomatic gallstones in high-risk patients awaiting liver transplantation, drug-induced liver injury, minimizing bile duct injury during liver radiofrequency ablation, and the factors associated with recurrence of hepatocellular carcinoma after resection. Dr. Farmer’s research work is mostly focused on the regulation of innate and adaptive immune responses in intestinal damage due to ischemia and reperfusion (IRI). They further explore the regulatory effects and mechanisms of IL-13 and other cytoprotective molecules in innate and adaptive immunity in intestinal IRI. Dr. Holt has focused on studying infectious complications and immunosuppressive agents in liver transplant recipients. 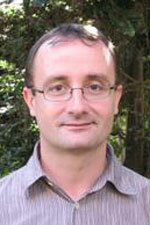 His current research interests are related to the study of drugs and their disposition in patients with liver diseases. Dr. Kupiec-Weglinski is the Director of Dumont-UCLA Transplantation Research Laboratories and the Vice-Chair of Basic Research. 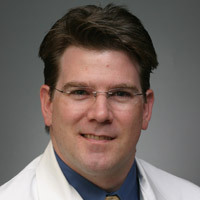 His group has been working on 1) improving the quality of donor organs through innate - adaptive immune cross-regulation in ischemia and reperfusion injury; 2) enhancing allograft outcomes in sensitized recipients by analyzing the function of novel T cell costimulatory pathways upon alloreactive memory T cell generation during accelerated graft loss; 3) the role of T regulatory cells in the acquisition of immune tolerance. 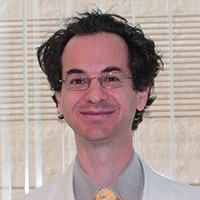 The primary goals of Dr. Lipshutz laboratory are 1) to develop strategies for the treatment of inherited disease before the clinical onset of phenotype at birth; 2) to examine if tolerance to foreign transgene products can be induced by delivery and expression of the protein during immunologic development, and 3) to track hematopoeitic and hepatic cells transplanted before birth and determine their final fate as a method to develop cellular therapy. Ischemia reperfusion injury (IRI) is a common clinical syndrome associated with liver surgeries, such as Pringle maneuver, transplantation. His laboratory is interested in immunological mechanisms of IRI pathogenesis, including roles of T cells, Toll-like receptors, intracellular signaling pathways leading to the activation of pro-inflammatory gene transcriptions and their regulation, and roles of metabolic stresses, by manipulating relevant genes and proteins with various transgenic and biochemical tools both in vitro and in vivo. 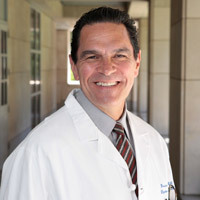 Dr. DeUgarte is the Surgical Director of the UCLA Fit Program and a faculty member of the UCLA Program in Global Health Education. He is investigating the impact of metabolic/bariatric surgery on reproductive-age women. In addition, with funding support from the President’s Emergency Plan for AIDS Relief (PEPFAR), he directs a surgical partnership with a university hospital in Mozambique, where he is evaluating and improving blood transfusion practices to reduce the number of unnecessary transfusions, reactions, and transmissible infections. 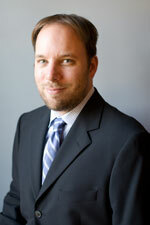 Dr. Dunn’s research interests are in tissue engineering of internal organs and mechanical intestinal lengthening. His research is focused on developing novel therapies for patients with intestinal failure. His lab is employing a tissue engineering approach to generate intestinal tissues using stem cells and biomaterials. They are also developing an implantable device to mechanically lengthen the small intestine. Dr. Shew’s laboratory focuses on the role of nutritional substrates to improve the synthesis of the major anti-oxidant in the body – glutathione. Critically ill neonates are being enrolled in a NIH-supported prospective, randomized clinical trial to investigate the anti-oxidative and oxidative changes impacted by parenteral cysteine supplementation. 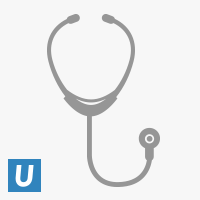 Other collaborative clinical trials include investigation of the amelioration of parenteral nutrition associated liver failure with Omegaven (omega-3 fatty acids) and a multi-institutional low-dose lipid trial. 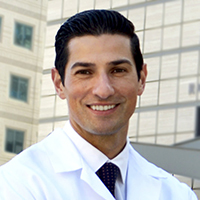 Dr. Da Lio is the Chief of the UCLA Division of Plastic and Reconstructive Surgery. 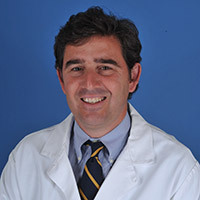 His research focuses on microsurgery, objective assessment of abdominal wall function after free TRAM flap breast reconstruction, the use of nuclear medicine imaging (FDG-PET scanning) in differentiating benign and malignant lesions after breast reconstruction, and the role of decision analysis in breast reconstruction surgery. Specific topics of interest in clinical decision-making include the role of autologous blood donation in free flap breast reconstructive surgery, reconstruction in locally advanced and metastatic breast cancer, and the use of anti-thrombotic agents in free flap surgery. His basic science research focuses on the effects of anabolic steroids in wound healing. 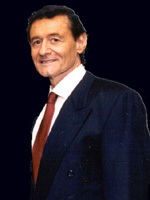 In addition, Dr. Da Lio has developed a Staged Wise-pattern reconstruction technique for the large and/or ptotic breast that reduces the incidence of tissue necrosis common with the more traditional Wise-pattern reconstruction. 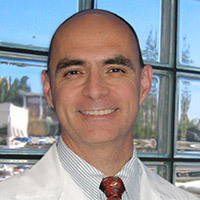 Dr. Crisera is the Director of Microsurgery at the UCLA Division of Plastic and Reconstructive Surgery. 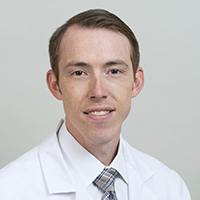 His current research investigates the vascular biology of perforator flaps and pharmacologic conditioning of free flaps to improve outcomes in breast reconstruction. He was recognized with the Community Service Award by the Patient Care Foundation of the Los Angeles County Medical Association for his role in the UCLA Operation Mend Project, an organization that provides reconstructive surgeries to war veterans. 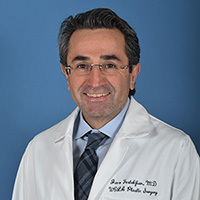 Dr. Festekjian has research interests in the clinical arena, specifically in the area of breast reconstruction, breast augmentation, and breast reduction. Additionally, he leads the quality initiatives program to improve patient care within the Division of Plastic Surgery at UCLA. His previous research ranges from comparing postoperative pain control in patients with breast reconstruction to burnout in U.S. microsurgeons. Dr. Jarrahy’s research focuses on tissue engineering and clinical outcomes in the scope of craniofacial surgery and other fields in plastic surgery. His lab team is developing innovative ways to bioengineer “Smart Scaffolds” used in the reconstruction of critical sized calvarial bone and peripheral nerve defects for patients with traumatic nerve injuries and craniofacial deformities. The principle behind the “Smart” design incorporates supporting scaffold material, growth factors, and pre-populated mesenchymal stem cells. Through the orchestration of these three components, Dr. Jarrahy’s team intends to produce an optimal scaffold design that emphasizes ease-of-use and effectively addresses the reconstructive challenges encountered with critical-size bone and nerve defects. 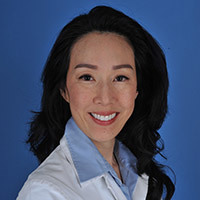 Dr. Lee is actively involved both basic science and clinical research with funding from the United States Department of Veterans Affairs, the Plastic Surgery Foundation, and the Jean Perkins Foundation. 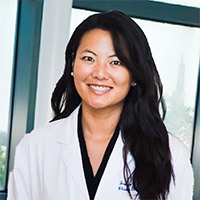 In her laboratory, Dr. Lee’s primary research focus is on regenerative technologies for skeletal defects. By combining biomimetic scaffolds and stem cells, her lab aims to identify novel methods and mechanisms for repair of bony defects from congenital, post-traumatic, and post-oncologic causes. 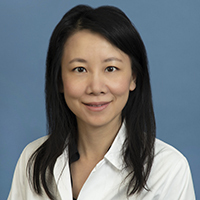 In her clinical research, Dr. Lee is primarily interested in pediatric and adult craniofacial reconstruction. 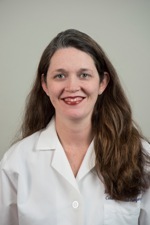 She is currently conducting outcomes studies on total ear reconstruction for pediatric patients with congenital ear deformities and maxillary hypoplasia in cleft lip and palate patients. 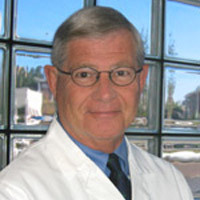 Dr. George Rudkin is the Program Director for Plastic Surgery at UCLA and Chief of Plastic Surgery of the West Los Angeles VAMC. He is a Co-Investigator for an active VA Merit Review grant studying bone tissue regeneration. Dr. Rudkin has active clinical projects pertaining to the management of non-melanoma skin cancer and to chest wall reconstruction. 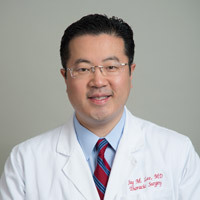 Dr. Soo is the Vice Chair for Research at the UCLA Division of Plastic and Reconstructive Surgery and Research Director for Operation Mend, an UCLA organization that offers reconstructive surgery to soldiers wounded in Iraq and Afghanistan. Her research investigates bone and skin regenerative medicines and tissue engineering technologies. Of note, Dr. Soo collaborated with NASA and the Center for the Advancement of Science in Space on a project that tests the effects of an experimental drug on bone damage or loss. Dr. Chang’s research focus is to apply the findings of molecular profiling of breast cancer to early detection, tumor classification and treatment. One of her laboratory research projects is in studying drug-resistant triple negative breast cancer – the mechanisms, the targeted strategies, the tumor classification and treatment. 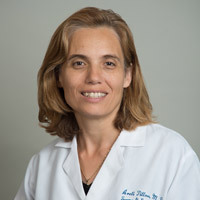 Dr. Comin-Anduix’s research focuses on optimizing immune monitoring techniques and studying approaches to enhance the T-cell responses to human metastatic melanoma. She studies the optimization, development, and validation of quantitative immune monitoring methods at a single cell level. Dr. Comin-Anduix collaborates with engineers from the California Institute of Technology to microscale quantitative immune monitoring methods optimized in her research. 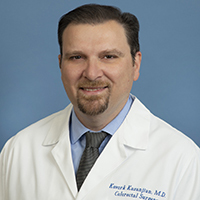 Dr. Economou is the Beaumont Professor of Surgery and Vice Chancellor for Research at UCLA. He led the first gene therapy trial on the West Coast in the early 1990s and has an ongoing NIH funded career in cancer translational research. Dr. Eilber has conducted three prospective clinical trials using molecular imaging to monitor response to therapy in sarcoma patients. The initial two studies found that FDG-PET is more accurate than the current size based criteria (RECIST) and a 35% reduction in tumor FDG uptake after the initial cycle of therapy is a sensitive predictor of response. These projects laid the foundation for a recently completed clinical trial using a novel molecular proliferation marker 18F-deoxyfluorothymidine (FLT) to evaluate treatment response in sarcoma patients. Dr. Ali Jazirehi’s laboratory focuses on the major signaling pathways and apoptosis-associated gene products responsible for apoptosis-resistance that can be regulated by sensitizing agent. The functional complementation (sensitization) model proposes that treatment of tumor cells with a nontoxic sensitizing agent alters the expression profile of apoptosis-associated gene products, removes the inhibitory block in the apoptotic pathway and sensitizes the tumor cells to the killing effects of the second agent. Dr. Koya conducts laboratory and clinical research focused on immunotherapy and targeted specific therapy of cancer. Dr. Koya’s research interests include gene vector design, molecular imaging, new approaches to enhance anti-cancer T-lymphocyte responses, advanced immune monitoring and understanding of cancer biology for therapeutic translation. Along with wet-lab research, Dr. Koya leads an NIH funded prospective clinical trial based on an immune-modulator enhanced TCR-engineered T cell transfer for metastatic cancer patients. Dr. Penichet's research involves concentrating molecules that stimulate the immune system in the tumor environment, thus training the immune system to recognize cancer cells as foreign and destroy them. Since 1996, Dr. Penichet has developed a family of antibody fusion proteins to be used as direct anti-tumor agents and as adjuvant of cancer vaccines. Recently he has developed antibody-avidin fusion proteins to be used as universal vectors to deliver a broad spectrum of biotinylated compounds into cancer cells by receptor-mediated endocytosis. 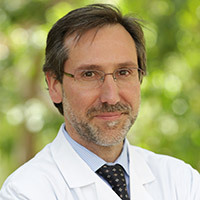 Director Dr. Antoni Ribas research is aimed at how the immune system can be effectively used to treat cancer, with a focus on malignant melanoma. This work spans from laboratory research to patients, including pre-clinical and clinical development of CTLA4 blocking monoclonal antibodies, dendritic cell vaccines, genetically engineered antitumor lymphocytes and the use of targeted small molecule inhibitors to pharmacologically sensitize cancer cells to immunotherapy. Dr. Tomlinson’s Lab is focused on the development of novel targeting agents for the diagnosis and treatment of solid organ cancers utilizing engineered antibodies, nanoparticles, and novel bio-orthogonal “click” chemistry in mouse models of cancer. They utilize MicroPET/CT imaging to evaluate our targeting agents. Their laboratory is located in the Crump Institute of Molecular Imaging on the UCLA campus in the California Nanosystems Institute building. Dr. Cho-Lea Tso’s research focuses on characterizing and targeting glioblastoma stem cells (GSC), which are a previously unrecognized subpopulation within the tumor mass and are hypothesized to be responsible for tumor development and tumor recurrence. Her Lab has established several patient-derived GSC lines and animal models, allowing them to characterize properties of GSC at cellular, molecular, functional, and genomic levels. Tso’s group aims to identify key factors and gene pathways that maintain GSC’s quiescent, self-renewing, and anti-apoptotic features, leading to treatment resistance and sustained tumor growth. Their ultimate goal is to translate this knowledge and experimental results into new strategies for developing and designing an effective GSC-targeted cancer therapy, which is not targeted by current brain cancer therapies. Dr. DeRubertis performed a 2-year research fellowship in gene therapy at Memorial Sloan Kettering Cancer Hospital in New York City. 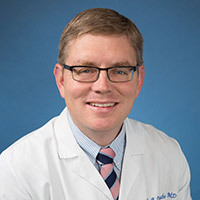 During his vascular training, he performed both basic science and clinical outcomes research that has resulted in multiple publications in the Annals of Surgery, Journal of Vascular Surgery, and other peer-reviewed publications and book chapters. 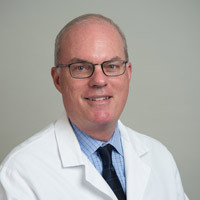 His research interests include the endovascular (minimally-invasive) treatment of lower extremity vascular disease and carotid artery disease. 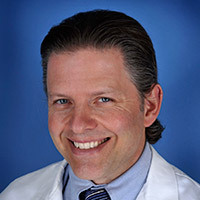 Dr. Gelabert’s research interests include neointimal hyperplasia, arterial smooth muscle response to injury, thoracic outlet syndrome, and varicose veins. 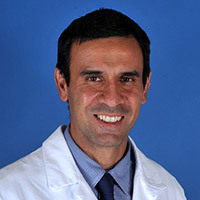 Dr. Jimenez has research experience and active interest tissue engineering. 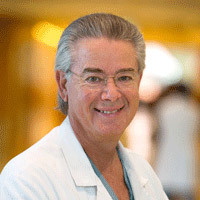 He is the author of multiple book chapters in both general surgery and vascular surgery textbooks. 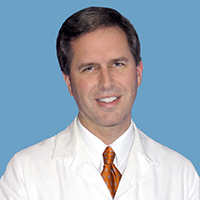 Dr. Lawrence’s research interests are related to aneurysms, limb salvage, and venous disease. He has been studying: 1) the impact of an endograft program on the management of abdominal aortic aneurysms; 2) femoral aneurysm treatment modalities and long-term outcomes; 3) outcomes of endovascular versus open surgical management of infrainguinal arterial occlusive disease; and 4) quality of life after minimally invasive lower extremity varicose vein repair. Current research is concentrated in minimally invasive alternatives for management of aortic pathology. UCLA is participating in the Ventana Clinical trial (PI), the first multi-institutional trial of a fenestrated endovascular graft for treatment of juxtarenal/para-renal abdominal aortic aneurysms. A program on fenestrated endovascular grafting for thoracoabdominal aneurysms and combined endovascular and surgical approach for aortic pathology from the aortic arch to the bifurcation is a part of our clinical research effort. Dr. Cameron is interested in minimally-invasive and robotic thoracic surgery including robotic surgery of the lung, mediastinum, esophagus, and thymus. 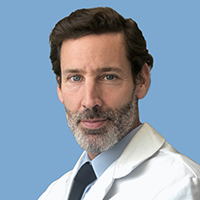 He has specific expertise in the management of malignant pleural mesothelioma, esophageal cancer, lung cancer, thymoma hyperhidrosis, lung volume reduction surgery, pectus excavatum, chest wall tumors (sarcomas), and thoracic outlet syndrome. 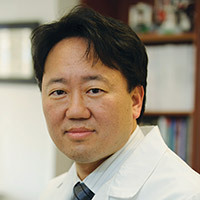 Dr. Lee’s laboratory efforts focus on: 1) the investigation of dysregulated inflammation and immunosuppression in lung cancer development to identify potential targets for prevention and treatment; 2) the application of gene modified dendritic cell based vaccines to treat lung cancer; 3) the translational application of new drugs and cell based immunotherapy in lung cancer trials; 4) and the identification of inflammatory protein profiles as biomarkers of early lung cancer detection and recurrence.